Quality Refurbished Bicycles for Everyone. At affordable prices. Spirit of Life Recyclery offers a wide variety of used, refurbished bikes for sale. Our selection includes cruisers, commuter bikes, road bikes, off-road bikes, and kid’s bikes. Expect a clean, well-riding bike for a great value. Each bike has been carefully and thoroughly repaired by our skilled mechanics. We replace worn-out components with better condition used parts or with new parts as needed. We have bikes for all types of riders, including new riders. Prices range from $100-$500 with the majority of adult bikes in the $150-$300 range. Used children’s bikes are generally priced in the $40-$150 range. ​Stop by and we'll find the right bike for you! And if we don't have it in stock...we'll build it for you! Our bicycle selection is always changing, contact us to browse or take a test ride. The bikes we repair have all been donated to us. We do not purchase used bikes or offer a trade-in program, but we would love your donation! 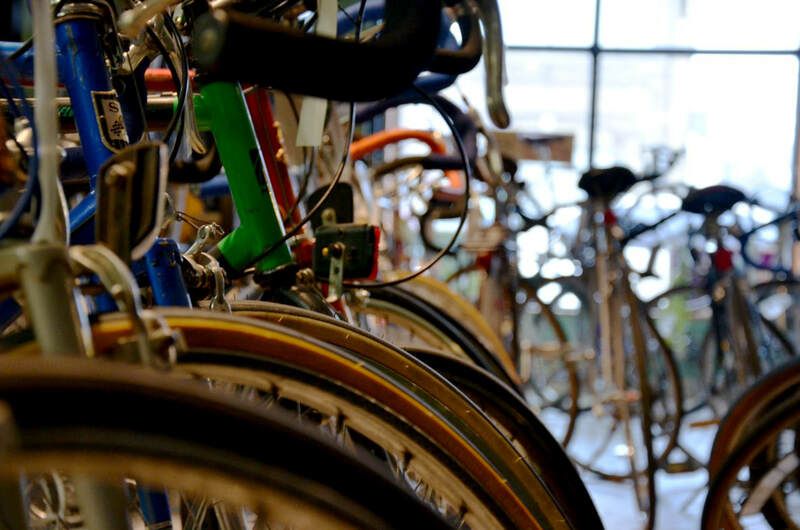 Consider donating your no-longer-needed bicycle or extra bike parts to us. We also have a great selection of used and new parts for sale. We can also build your dream bike for you, contact us and we will work with you. Your business is important to us. Sales of used bikes and parts help to support our youth bicycle/education programs. To find your next bike, give us a call. Contact us at 650-2089 to look at our bike inventory.